Typically fixed assets have a useful life of many years and the bar code label applied to the assets should remain firmly affixed and easy to read by scanning devices. The initial physical inventory tagging and tracking process requires a lot of time and effort. 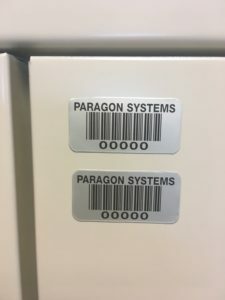 This time is wasted and the database information is compromised if inventory has to be retagged and identified again due to labels that fall off or are no longer easily recognized when scanned. 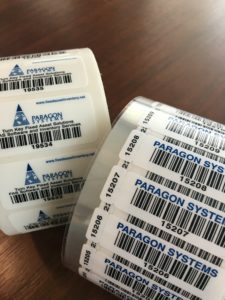 Selection of the proper type of label tag material, printing method and adhesive is important in maintaining an accurate database of fixed assets. Through extensive field-testing we recommend polyester and aluminum bar code labels designed specifically for prolonged existence in office and manufacturing, restaurant, and laboratory environments. These labels are made from a 3-mil polyester material that resists moisture and accepts printed inks well. They are printed with crisp, clean bar code edges that scan easily. They also have a clear laminate that protects the bar code printing for years of service. They have a permanent adhesive that cures after application for a tight bond to smooth surfaces. Size 0.75 x 2.00”. Other sizes and colors available. $75 setup fee per order. We also have an economy 2-mil polyester label. Please call for pricing. These labels are die-cut from a solid 3-mil sheet of aluminum that holds up well to dirt, grime and oils typically found in these volatile environments. 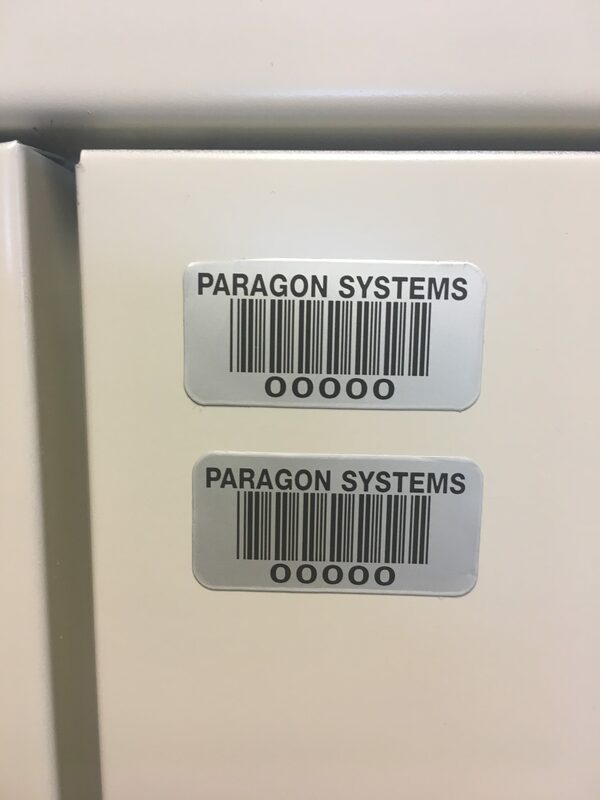 The bar code and text images are actually black anodized into the surface of the aluminum. This process resists scratching and withstands repeated cleaning. They have a permanent adhesive that cures after application and produces a tight bond to smooth or irregular metal, plastic and painted surfaces. NOTE: Pricing is for specifications as listed above and subject to confirmation upon receipt of order. Custom sizes, scanned company logos, and printing available upon request. All pricing is subject to change without notice.